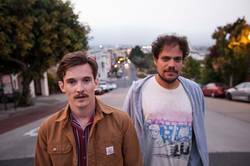 Antarctigo Vespucci, a project from Chris Farren and Jeff Rosenstock, have announced their new home is Polyvinyl Record Co. with new music "coming soon." The duo will be heading out on a US Tour this Fall with support from Katie Ellen. Dates after the jump.